Recent studies have good news to share with coffee lovers. Scientists from all over the country have been testing the effects of caffeine on lab mice who have been induced with common symptoms associated with Alzheimer’s disease. The mice show signs of memory loss and other cognitive problems. Researchers have provided the mice with caffeinated water which is equivalent to about 500mg of caffeine per day. For humans, this is about five cups of coffee each day. The results from the lab mice tests have been astounding, and many mice have shown cognitive improvement after a couple of months of caffeine consumption. This is good news for many people who love coffee, although results are still inconclusive in humans. Can Coffee Help Treat Alzheimer’s? Researchers from Florida State University and the Byrd Alzheimer’s Institute in Florida have been some of the leading authorities on the research regarding Alzheimer’s and coffee. In their studies, some lab mice were induced with symptoms similar to those of Alzheimer’s disease, whereas others served as the normal control group. The lab mice who suffered from memory loss and cognitive disabilities were given caffeinated water. Then, the groups were given memory and thinking tests to check for improvement. The mice who had the caffeinated water performed similarly to the mice who had no symptoms of Alzheimer’s. Over the course of a couple of months, with regular dosages of caffeine, the performance of these mice improved. This is a positive sign for those who suffer from Alzheimer’s, although evidence has not been conclusive for human subjects yet. The studies of coffee and Alzheimer’s are still developing and have not made any definitive conclusions on its effectiveness outside of lab subjects. How Many Cups A Day? 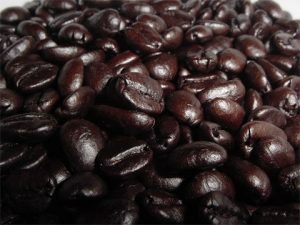 It is also important to recognize that there is a certain amount of caffeine that one must consume in order to see results in the treatment of Alzheimer’s disease. The lab mice who were given caffeinated water were subjected to the equivalent of about 500mg of caffeine per day. This is roughly the same as about five cups of coffee per day for a human subject. This is an important aspect to these studies because most people feel that their one or two cups per day will help them from experiencing Alzheimer’s disease. However, this is not the case. Those who drink more coffee each day are more likely to avoid the effects of Alzheimer’s than those who only have one or two cups a day. While this may seem excessive, many people actually drink more coffee than they think, since as Dr. Jennifer Ashton points out, a grande cup of coffee at Starbuck’s is about two cups of coffee (see http://www.cbsnews.com/stories/2009/07/06/earlyshow/main5136373.shtml). Researchers also warn people who should not be drinking caffeine to avoid its consumption regardless of the results of these studies. Women who are pregnant or people with hypertension, heart problems, or who are sensitive to the effects of caffeine should not drink coffee in excess. Again, the results in this study are still inconclusive for humans. Also, other factors also contribute to the development of Alzheimer’s disease. Many of these factors are related to genetics and cannot be avoided by drinking 500mg of coffee daily. Always check with your doctor for more information about Alzheimer’s disease, especially if you are genetically predisposed to developing the disease. Exercise, nutrition, and a healthy lifestyle also play an important role in preventing the onset of Alzheimer’s. One more recent study has looked at the effects of caffeine on human subjects and found positive results. In Finland, researchers followed a group who drank around five cups of coffee each day for over two decades. They found that many of these individuals had a much lower risk of cardiovascular disease, which often leads to reduced risk of dementia. Although it is difficult to show a direct correlation between coffee consumption and prevention of diseases like Alzheimer’s, scientists view this study as a positive sign. Remember to share this with your friends on twitter and facebook! NextAlzheimer’s Disease: Natural Treatments Or Traditional Medicine? Great news for coffee addicts! Thanks for sharing this.